12 luxury apartments, swimming pool, Caldera view, daily maid service, direct- dial phones, private terraces, breakfast included. 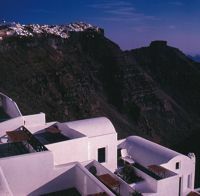 This entry was posted on Friday, August 20th, 2010 at 1:11 am	and is filed under greece-santorini. You can follow any responses to this entry through the RSS 2.0 feed. Responses are currently closed, but you can trackback from your own site.